Enhance your interior with the Harbin mirror from RV Astley. A caged surround extends around the reflective glass, the dramatic detailing mimics a striking sun shape. Tapered rectangles form the caged detailing around the outside of the surround. The detailing is held in place by a circular support around the outside. 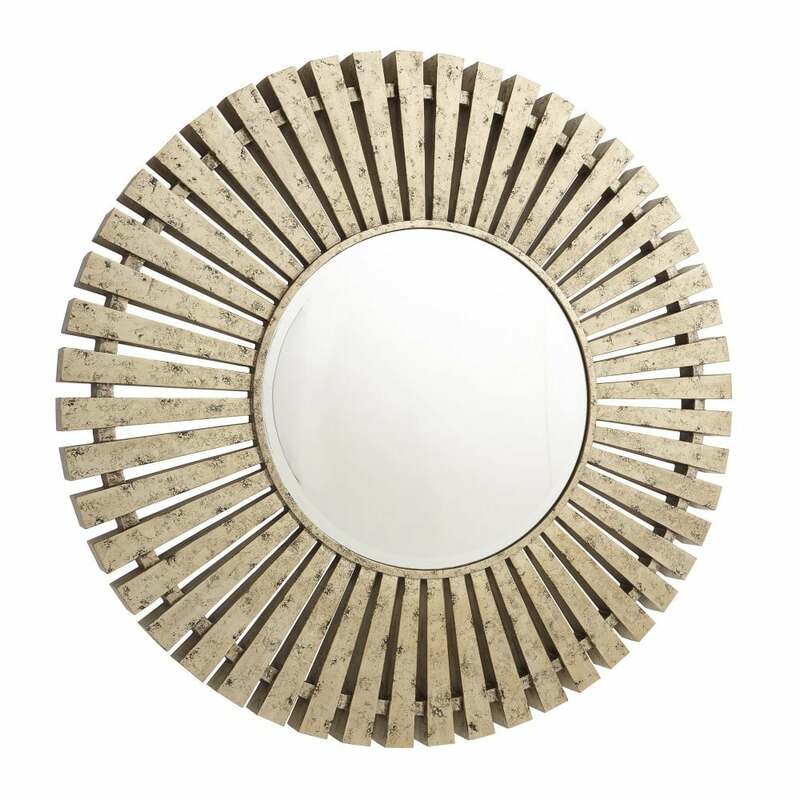 The dramatic statement mirror would be an ideal focal point in an entrance or hallway. Style in the living room for an ultra-glamorous look.